Despite the recent snow, things have been heating up between Israel and Syria. Friction over the stockpile of Hezbollah missiles in southern Lebanon has sparked off volleys of threats between Israel and its northern neighbors. Amid fears that a war between Israel and Syria is imminent, Israeli Prime Minister Benjamin Netanyahu has offered to restart peace talks. Israel and Syria have been glaring at each other and occasionally going at it tooth and missile for more than sixty years. Even though Syria and Israel have not fought directly in decades, Syria is Iran's strategic ally and both countries supply the terror groups Hezbollah and Hamas with weapons. The situation got tense last week when Israel's Defense Minister Ehud Barak told a group of IDF officers that without a peace agreement Israel and Syria could easily go to war. Israel has also accused Syrian-backed Hezbollah of stockpiling 40,000 rockets along the Lebanese border with Israel. Warnings have been exchanged on both sides. Syria's Foreign Minister Walid Moallem told Israel not to test Syria. Syrian President Bashar al-Assad insisted that Syria would support Lebanon if Israel attacked. Israel's foreign minister Avigdor Lieberman warned that if Israel and Syria went to war, Syria would be beaten and the Assad family would lose their regime. On Sunday, Israeli Prime Minister Benjamin Netanyahu made an effort to calm the escalation by telling his cabinet that Israel was open to direct peace talks with Syria. "We did it with Egypt and Jordan, and we want to achieve similar agreements with the Palestinians and the Syrians," he said. "I hope that we are on the brink of renewing negotiations with the Palestinians, and we are open to renewing the process with the Syrians as well." Israel certainly could win a war with its northern neighbors; Israel's technology is superior to Syria's outdated artillery and armored corps. Israel has a superb air force while Syria's is weak at best, and Syria's air defense system proved fairly useless when Israel hit a nuclear reactor inside Syria in September 2007. Little would stop Israel from taking out Syria's military, government and infrastructure. That's not to say a war wouldn't be messy. It would mount up a huge cost in the destruction of lives and property for both sides. Syria's ground forces would still take their toll, as would rockets shot into Israel. The war would also not be limited to just Syria and Lebanon, but would likely involve Iran in some form or another, and Israel does not want to get into a regional, multi-front war. Peace with Syria would benefit Israel in several ways. It would help to stabilize Lebanon and relax the constant threat and hostility from the north. It could stem the flow of weapons to terror groups like Hezbollah and Hamas. Arguably the most important result would be the isolation of Iran. With its strategic ally Syria at peace with Israel, Iran would be under more pressure to find a diplomatic solution to its controversial nuclear aspirations. Netanyahu has made it clear that Israel is interested in peace with Syria, but noted that Israel will accept no preconditions to negotiations. That is, there would be no up front agreement to withdraw from the Golan Heights. 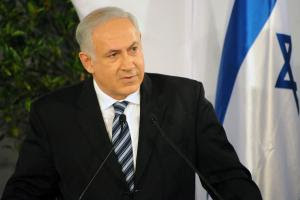 Any agreement with Syria would also have to guarantee Israel's security, Netanyahu said. Israel won the Golan Heights in the Six Day War in 1967 and has hung onto the area as a vital part of its self-protection. The area is also an important source of water for Israel and is home to thousands of Israeli settlers.